Contributing authors and photographers Maxine Maxey, Ria Garcia, Nick Frogroso, Kamila Chen, and Katja Ng. To make an impactful change, it has to begin within. No matter how small or big this change may be, positive social change can impact on a community. To be a pioneer of change can be challenging, more so when funds are limited and resources are few. 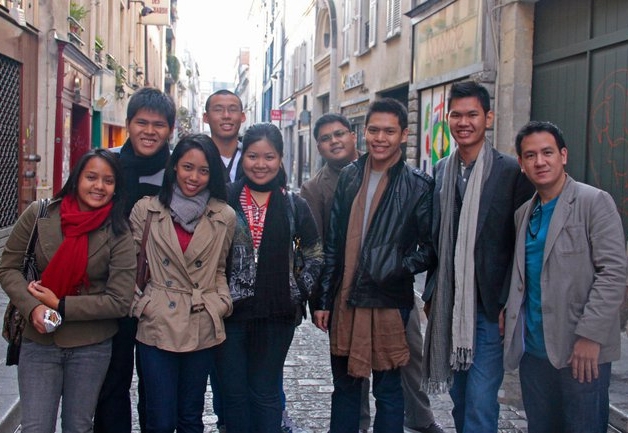 Enderun Colleges teamed up again with LP4Y, Life Projects for Youth, a French NGO devoted to improving social and economic life in poor areas, not only in the Philippines but also in Indonesia, Vietnam and India. The National Service Training Program is held in Barangay Pinagsama, Taguig, where LP4Y established a modest Life Project Center. Young teenagers from the Barangay and some poor areas of Metro Manila gather every Friday to learn how to deal with life — work, skills, making a start-up. 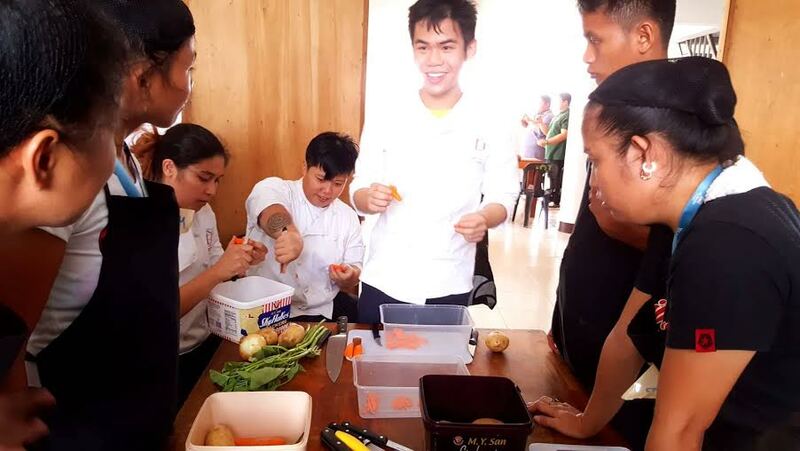 Enderun students from Culinary Arts and Business Entrepreneurship share their skills with the younger students. 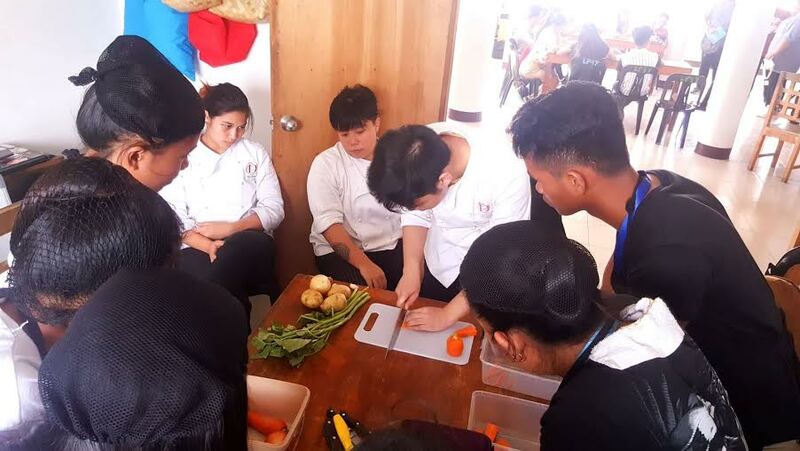 They teach the young adults how to create recipes; how to handle knives for paring, chopping, cutting; how to estimate the quantities of ingredients required; how to cook and how to plate for presentation. 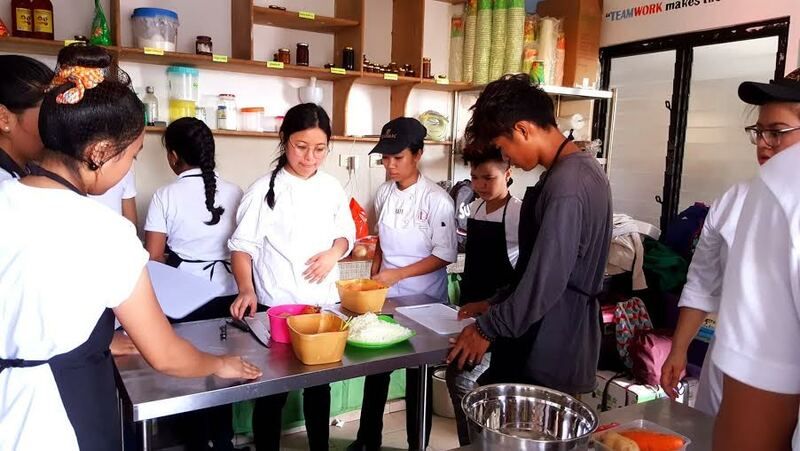 The space for training in the Life Project Center is small and we had two courses going on simultaneously, culinary and entrepreneurship. Having learned all our skills in English, it was quite a challenge sharing them in Pilipino with the younger students. And it was a great challenge and humbling experience to meet these teenagers from poor families and appreciate the hardships of their home life. “You get to know more about them and their lives and how our encounters can change their lives, that now they have a more equal chance to get ahead,” Nick Frogroso observes. “As Enderun students we have the privilege to change their lives positively by teaching them what we have learned and not just the practical knowledge, but also the values which have been shared to us in the Enderun culture,” concludes Ria.